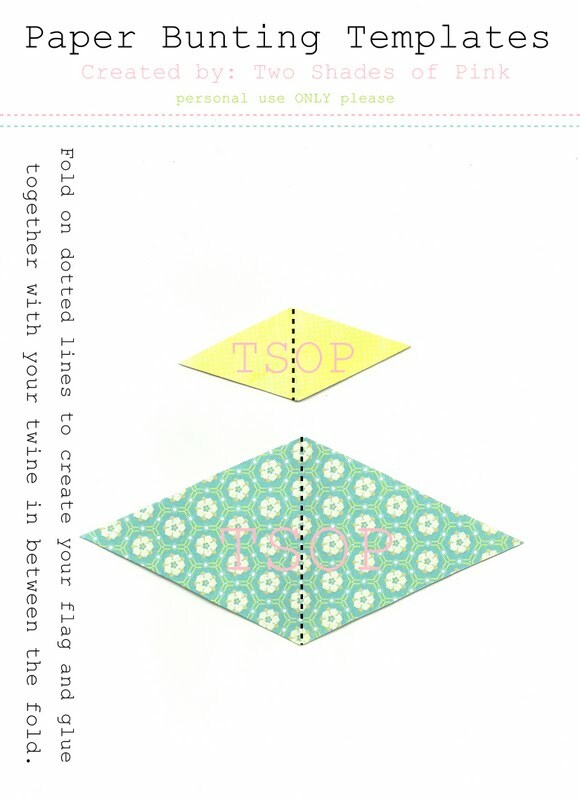 Two Shades of Pink: Paper Bunting with Matching Cupcake Picks! 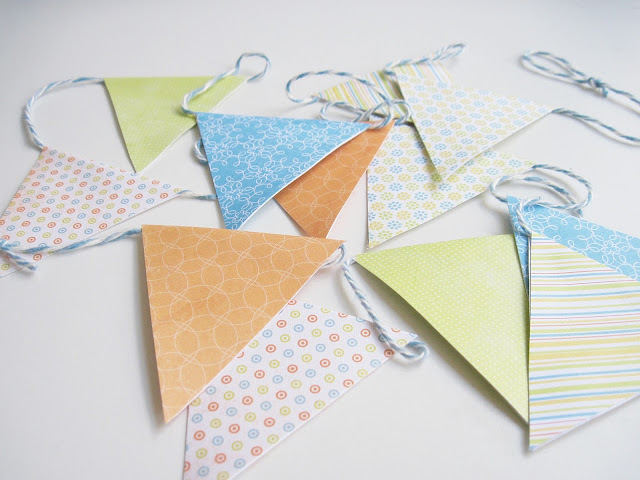 Paper Bunting with Matching Cupcake Picks! It screamed summer to me and I picture it outside for a summer barbecue, a casual dinner get together, or a little birthday party for either a boy or a girl. Oh, these colors. So citrusy and summery. How fun is this yarn that looks like twine? I think we need some matchy matchy cupcake picks. What do you think? 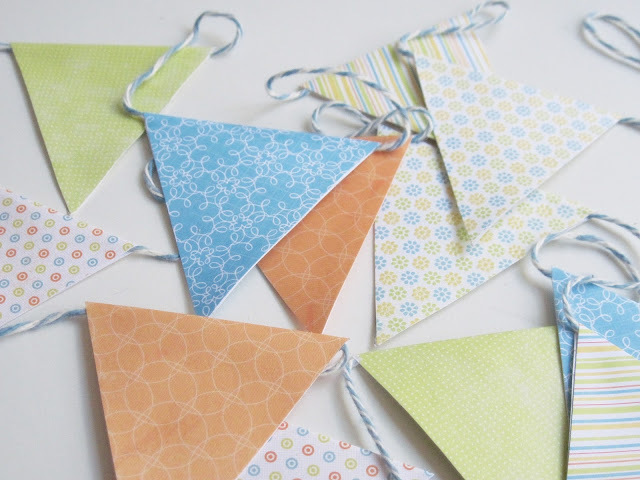 You can use these flags for other things too...use them as a mini bunting, goody bag labels, or even on a food table (stick them inside a candy bowl of M&M's or treats). 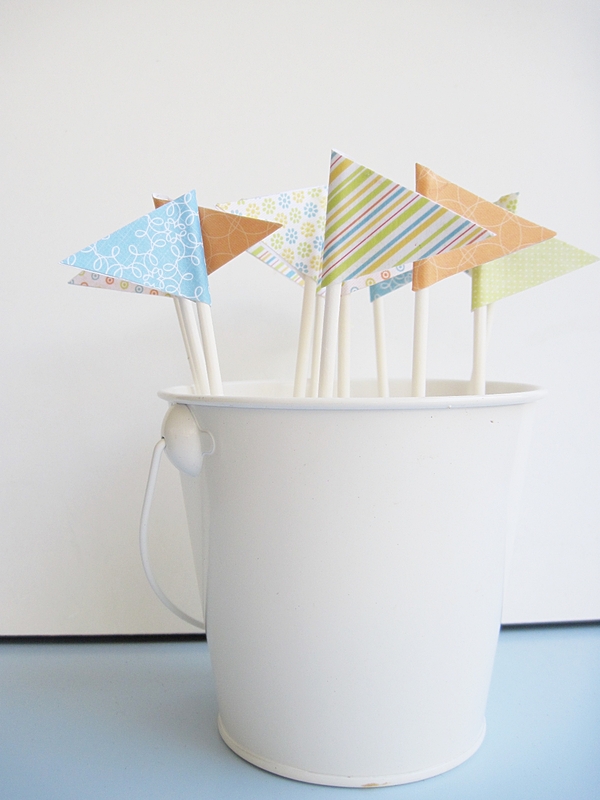 I used lollipop sticks because I can not find white toothpicks. Do YOU know where I can find white toothpicks? 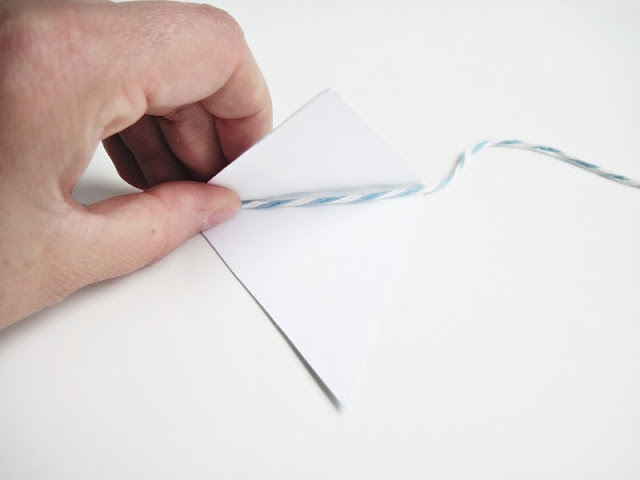 Just cut and fold each diamond shape to make a triangle and fold over twine, ribbon or string. Glue the triangles together from the tip of the point back towards the fold with craft glue. Hugs and love sweet friends! very cute, where did you get the lollipost stick? I like those far better than a toothpick! 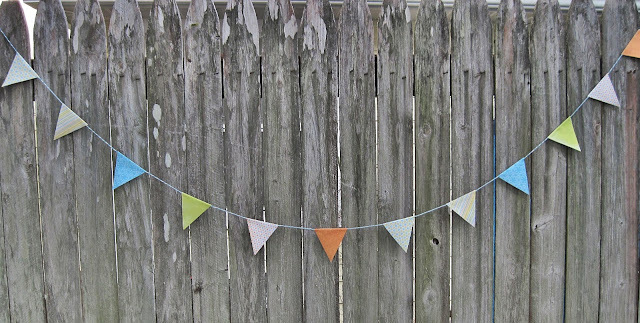 Cute idea, I love bunting. To be honest, I wouldn't even know where to buy tooth picks, let alone white ones. Can I just pay you to decorate for Keller's party in August??? Have a Very Blessed Week!! Very cute!! Love that paper! 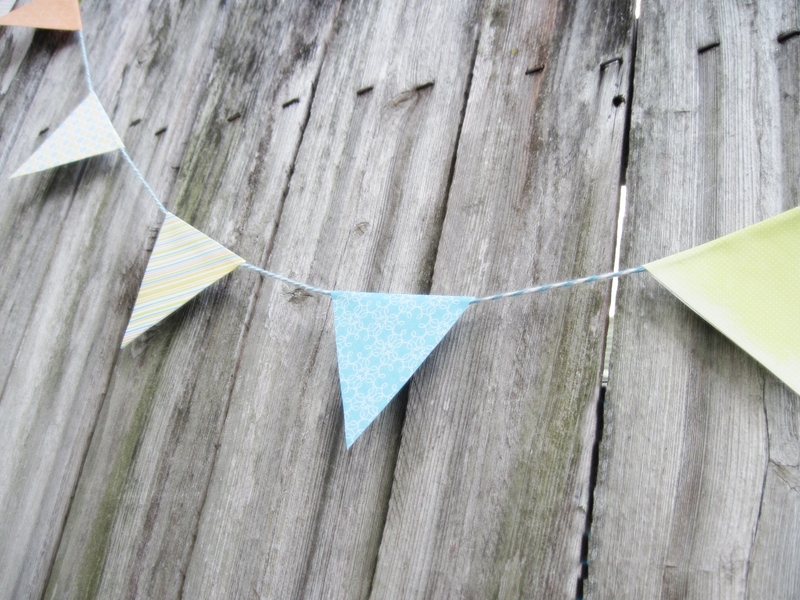 I love buntings and this one is so lovely! I like the colours!! 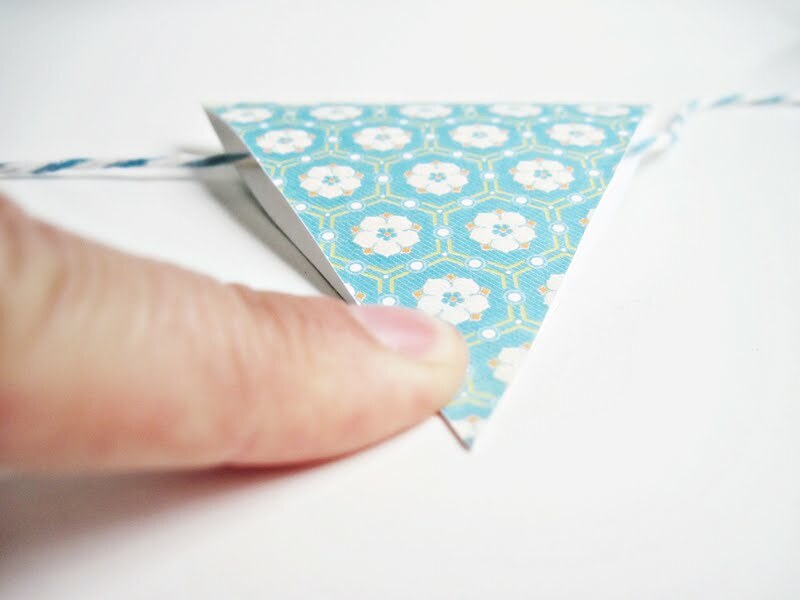 Okay I never even thought of using paper :) I keep thinking I need to get moving & make some for all my upcoming spring birthdays but yesterday I found some super cute fabric bunting at Target for a good price too! It is in the birthday party isle...they have a whole new line of adorably party supplies --can't remember the name right now- but you will know what I am talking about when you see it :) LOVE the matching pics! We are even in Italy can you believe it!! This is adorable! 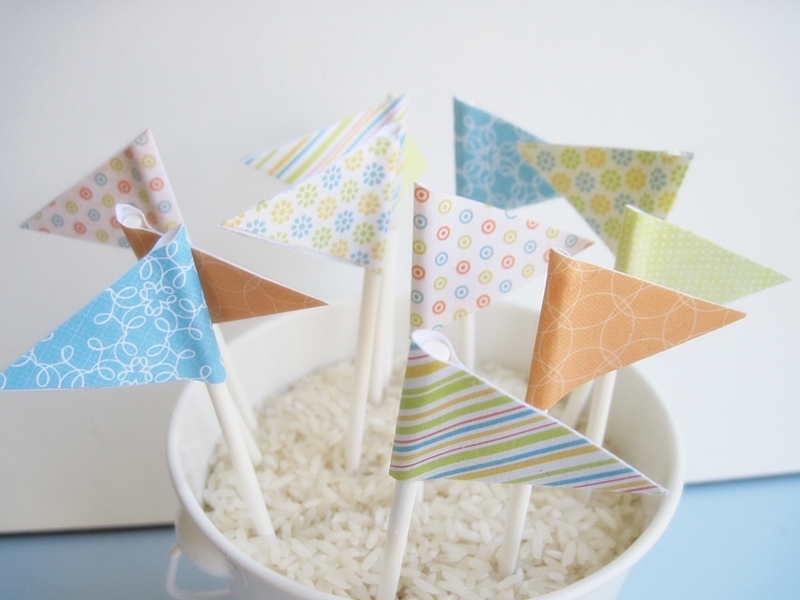 I love the idea of using them for a child's outdoor birthday party. I have to remember this for next year! So cute! I love the lollipop sticks!! The colors are all so pretty together. 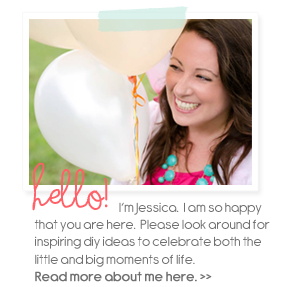 A Blog Freebie and Some News! Fabric Coil Coasters : I ♥ Green! Guest Posting at Free Pretty Things For You!